The National Bank of Ukraine is raising its benchmark interest rate to 30 percent from 19.5 percent, the biggest increase in 15 years. It reflects the bank’s attempt to save the collapsing economy from hyperinflation that some estimate at 272 percent. The new refinancing rate becomes effective from Wednesday, Ukraine’s National Banksaid Tuesday. This is the second rate increase this year, as the bank raised it in February to 19.5 percent from 14 percent. The decision was taken because the bank saw the "threat of inflation had risen strongly due to negative consequences from currency market panic," the National Bank chief Valeriya Gontareva said in a media briefing. The bank also kept in place the requirement for companies to sell about 75 percent of their foreign currency earnings, which is also hoped, will stabilize the hryvnia. Gontareva hopes it will return the currency to a level of 20-22 to the US dollar "quickly". 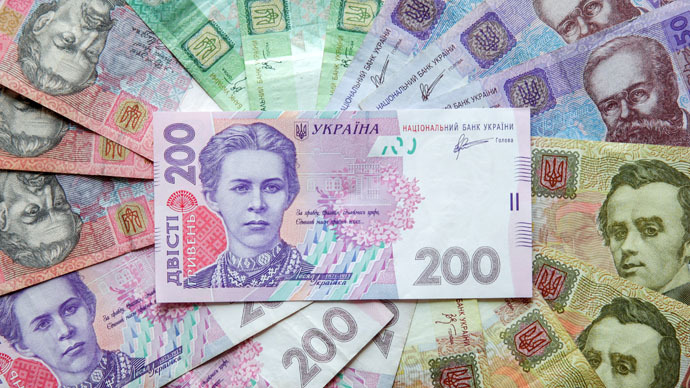 The domestic currency, the hryvnia, has lost about 70 percent since the start of the Maidan unrest a year ago. On Tuesday it was trading at 26 hryvnia to the Dollar, while a year ago a greenback bought 8 hryvnia.